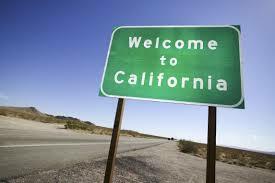 Cali-Crazy but should California be Split up into 6 States? Time to divide up the Golden Bear? If you live in California and love it, or if you just love California (even if you don’t live there) you may want to close your eyes for a moment. Now, if you are like most of the rest of us who aren’t necessarily enthralled with La-La Land, Super highways that go nowhere or smog that Californians pretend is mist coming off the bay and sing songs about it, then keep your eyes open, wide open (apologies to Stanley Kubrick) and let’s serve up a bit of realism with our Chinatown noodles. The fact is California has been a governance disaster for decades. 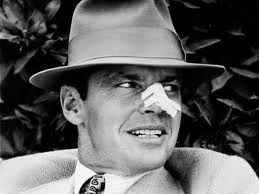 And the challenge is far more vast than just its never-ending battle over water access (though Chinatown with Jack Nicholson and water rights subterfuge is still one of the all-time greats). Cut California into pieces is what I said, not my nose. No, even under its early glory days under Spanish rule when what we now know as California was divided into roughly two states, Baja (lower) and Alta (upper) California, Spanish officials were concerned about things like: water shortages and access, remote areas and desolate rural areas, overcrowding in populated areas near port cities, corruption of local officials, the unpopularity of taxes on local communities and the difficulty of uniting an expansive population. Sound familiar? And this is even before it had to deal with El Zorro (though not the Antonio Banderas/Anthony Hopkins version, I mean, really?) stirring up the locals into revolution frenzy. 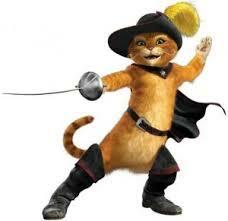 Now, this El Zorro version with Banderas was one mean Kitty. It really never got better. Sure there was the Gold Rush but there was also the Yonatek massacre, the Bloody Island massacre, the disparagement of Okies and the ousting of Chinese laborers working the railroad construction (all serious history majors who need chronological orderliness feel free to yelp a bit.) But you get my point. California has often magnified all that is great and horrific in our nation as a whole. Opportunity and Gold beyond what many could dream of, poverty and desolation beyond belief. And thoughts of splitting this one big, massive state into several more palatable and governable pieces is not new either. Upton Sinclair in his campaign for Governor in 1934 ran as head of the EPIC (End Poverty in California). Though he lost in a, shall we say, epic failure, he did ring the alarm on some of the eternal issues Californians continue to face today. One of which is incredible bureaucratic inefficiency. Large swaths of the state feel (and with good reason) that Sacramento (state capital) has absolutely no concern or ability to address their needs and that depending on where you live (Northern or Alta CA or Baja or Lower CA or Silicon Valley and Facebook and Apple Land) you may as well reside in at least three or more different states. And the actual Chinatown (nearly as large as several of our states) is for the most part, its own “state” already. But Californians are nothing if not resilient dreamers. And one silicon valley venture capitalist named Tim Draper thinks it’s about time Californians took destiny in their own hands before you know, the San Andreas fault line does, and put an end once and for all to the “myth” that is the united republic of California. They don’t really mean it. And he may just succeed. He needs to garner a little over 800,000 signatures from his fellow Californians to put the issue on the ballot for a public voter referendum. Basically, do you support splitting California into 6 states? yes or no? If it passes that hurdle then it’s on to Congress for ratification. Now 800,000 or so signatures seems like a lot and it is. But let’s put the current population of California into perspective. Despite it not having a decent pizza (California Pizza Kitchen, please, folks) and requiring its Alta citizens of San Francisco to ride in cable cars that make Six Flags “Roller Coaster of Death” seem tame and that chunks of its state continue to rattle and roll from earthquakes, there are a lot of folks who live in the state. And astonishingly, more that seem to want to move there. Its population is over 38 million at the moment (and it still couldn’t get Al Gore over the electoral college hump, dang Floridians). You could pay $8 a slice for a fancy CA pizza or get a NY slice for a couple of bucks and fahgettaboutit. Well, California’s population is as big as: WY, VT, DC, ND, MD, SD, DE, MT, RI, NH, ME, HI, ID, WV, NE, NM, NV, KS, UT, AK and MS combined. Gee, maybe 6 states is being far too timid. Under Draper’s proposal which just passed the Secretary of State’s approval to move forward, the state would be chopped into: Northern, Southern, Eastern, Western, Central and Silicon Valley. Okay, Mr. Draper’s creativity does not quite match his optimism but still California under his plan would be a whole lot orderly than perhaps at any time since it became a state in 1850. (me, I still like the Spanish approach, Baja and Alta, but again there’s the El Zorro issue). Current revenues, assets and any dividends would be divided and distributed across the 6 new states. Each state would, per our US Constitution, be represented in the US Congress by 2 Senators. US House of Representatives would be based on population within these six states which under Draper’s plan would be more equitably divided. Sure the current in-state rivalries between the Alta SF Giants and the Baja LA Dodgers would suffer but then we’d maybe appreciate the Oakland teams more than we do so for us non-left coasters it would be a wash.
Oakland fans are kinda in their own state or even world of their own now anyways. Look, I don’t know if splitting CA into 6 states is just a bit of “California Dreaming” but the incredible bureaucratic and governance debacle that is California is sure not going away anytime soon. Arguably, genuine and effective representative government has and continues to fail in California as we know it today. Reform may be as daunting a task as commuting on the Santa Monica Boulevard at rush hour but maybe the time is right for a true EPIC success. Come on in and join the fun, hey? It’s so Cali-Crazy a plan that it just might work. Coming soon to a ballot near you. « Is Everything “Fair Game” in Politics? Should it Be? Although it is an interesting concept it will never pass. In my life I have met many people from the state and they carry a lot of pride that they are from cali and this is why many locals will not want to split it up.Going from one of the largest states in the US to being middle of the pack is not what cali life is all about. Six will never fly–coming straight from the mouth of my born-and-bred native Cali transplant fiancé. I’m with you: two will suffice. NorCal and SoCal. Let’s face it. NorCal is an *entirely* different world from SoCal. Call it a day and split the state at Santa Cruz (better yet at Seacliff…the southernmost NorCal city). Linguistically it’s different. Seriously. It has its own Wikipedia page. Must be made by NYC transplants….! After living in Cali for 10 years, I can honestly say there are wonderful things about it But it has become ungovernable! It is the most inefficient, fiscal mess of a state imaginable. If splitting it up would once and for all really address its many, many problems than I say go for it! I don’t see how it could get worse in any split. I just love the rationale billionaire investor Tim Draper gave for wanting to parse California into six states: the state has become “ungovernable” and by splitting it up, the have-nots would have local governance to address their particular needs. “Vast parts of our state are poorly served by a representative government dominated by a large number of elected representatives from a small part of our state, both geographically and economically,” according to Draper’s plan. OK, I’ll agree that California has become “ungovernable” but splitting up the state as proposed will just widen the inequality gaps that exist in the state. 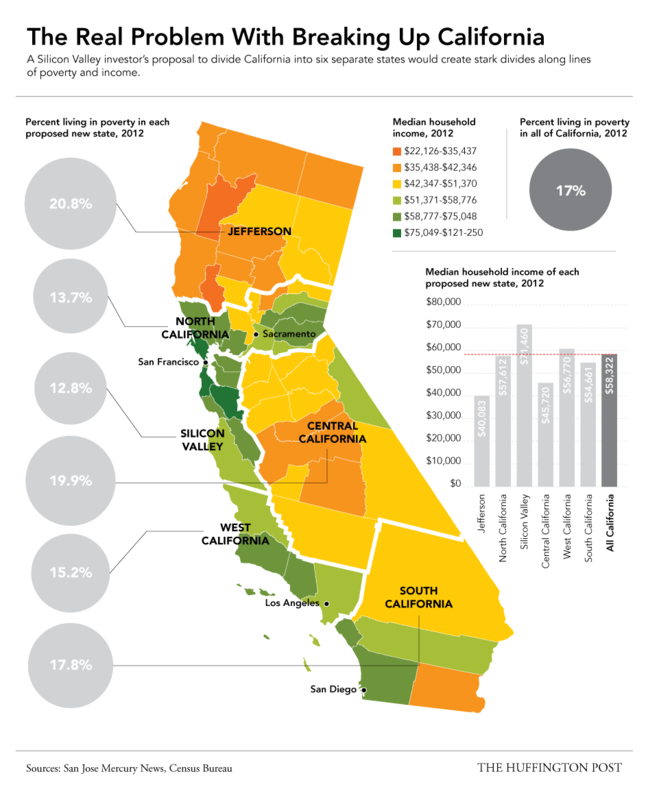 The Huffington Post best illustrated this divide back in March when it published an info graphic using poverty and income data from the U.S. Census (see http://big.assets.huffingtonpost.com/SixCalifornias_0.png). So divide up California and you may get more local governance, but then you have to tax the poor even more if you ever expect to compete (this is because of wealth distribution from the rich to the poor that has occurred for many decades with respect to education, income taxes, social security taxes, etc.). I guess we ought to keep the momentum going and split up Georgia: you have metro Atlanta, North Georgia and South Georgia … so should we divide the state into two or three states? Former Gov. Sonny Perdue tried to recognize the concentration of big government in Atlanta when he relocated various agencies throughout the state (such as the Office of the Secretary of State to Macon). All that did was force workers to move from Atlanta to keep their jobs (or transferred the unemployment numbers from one area of the state to another. And what about Florida … clearly there are a number of ways to chop up that state … you have south Florida, central Florida, and let us not forget the panhandle, which is partially in a complete different time zone altogether. But back to California: So you divide the state into six states and then you divide the debt among the six states. Really? So how did the poorest areas of California incur so much debt? We’re talking in excess of $132 billion! So chop up California and it will only be the start … not to mention the huge repercussions on governments at every level. Seriously though – when is a state too big? California has been a mess for a long time and only gets worse. I don’t live there and thus have no real say in the issue but something needs to be done before the rest of the country has to step in and bail them out of the mess they have created. Split them up before we start hearing they are “too big” to let them fail. Being from the Southeastern United States, I’m only vaguely aware of the issues experienced by Californians. However, from what I do know, the state does seem to be too diverse to be governed by one state government. From my perspective, there is diversity in ethnicities, citizen finances, ages, cultures, businesses, educational levels, etc. It seems that the concerns of the diverse groups would be difficult to hear and address. Bridging the gap between the ‘haves’ and ‘have nots’ in this state is more than challenging. However, as someone posted earlier, the history of the state itself might prevent many Californians from actually supporting regional separation. Regional separation might help to bring more attention to the needs of regional groups but would it necessarily help in addressing their needs? This is just crazy. Alone, the logistics involved dividing California into smaller states make the prospect at best improbable and most likely impossible. The first challenge will be to identify the boundaries of these six states- several of which may not win valuable assets that would make them economically sustainable resulting extreme poverty. Depending a state’s proximity the costs, ability to retain major metropolitan areas, and the percentage of terrain that is comprised of sparsely populated mountains and deserts, a state may end up with a scant population resulting in a tax base that is unable to sustain the operations of the state. The act of dividing the state would likely be a political nightmare. In Metro Atlanta, we are facing similar challenges. For various reasons, metro county residents have decided they want to break from the cities of Decatur and Atlanta to start their own municipalities. In some instances the proposed boundaries of the new cities overlap each other. Proponents of the new cities all want to secure the wealthiest households are residents of their fair city. I fear similar challenges would occur if California were divided. If demarcating the six states was simply accomplished by drawing state borders at lines of latitude, how would it be decided whether to use a latitude above or below Los Angeles, San Francisco, San Diego, San Jose or Fresno as a border? It is very likely that some states would not fare as well as others and would come up with the short end of the stick. California has great diversity in everything from ecology to ethnicity. With such diversity and such a large state, both in physical size and population, it is more difficult to govern. This being said the set up of representatives at a local and national level is probably just as efficient (or inefficient) as everywhere else in the U.S. Looking at this article on state budgets (http://www.statebudgetsolutions.org/publications/detail/state-budget-solutions-fourth-annual-state-debt-report) it shows that if you break down each state’s debt per capita using the 2013 census numbers that Alaska and Hawaii are the top two in the worst shape. This means that even though Hawaii is smaller than California in population and size they are still in more debt per person. I am sure there are many examples in favor and against the idea of splitting California up into smaller, more manageable states. I think that there are many reasons California is in trouble and that they go much deeper than breaking it apart would immediately solve. Addressing issues found in other states as well like public transportation and public schools systems would be a great start, though I understand that’s easier said than done! I do love to visit California, but sometimes I have a hard enough time understanding my own states problems… yet alone a giant state on the other side of the country from me! I find the talk about splitting California quite interesting. I’ll admit I have only ever visited Los Angeles and San Diego, but I have family near San Francisco. From what I have seen and heard the southern parts of California really are like a different state from the northern parts. I can understand the talk of splitting because of the size, both in land mass and population. I imagine the political climate is complicated by the size because decisions regarding the state may only truly be helpful to one region. I do not think splitting the state into six will ever actually pass. I suppose I could see California splitting into two, or possibly three states, but six is a stretch. There are issues I foresee with a move like this. First of all is representation in Congress. If each newly created state has to have two senators than what is California, as we now know it could go from two to four or six senators. This isn’t a major change, but it could be enough to effect voting depending on the issue. Not to mention there will no longer be one hundred U.S. Senators, which is just such a nice even number. Seeing as State Representatives are determined by districts based upon population I don’t really see the number changing. The biggest issue I foresee is this becoming a pattern across the United States. Texas is a massive state, so let’s say they decide to split as well. New York city is vastly different from upstate New York, so why don’t they split. For that matter what is to stop any state from trying to pull this? Like I said I can understand some of the reasoning behind the desire to split. There is an immense population in California and it is only increasing. The state is rather large and the regions are quite different from one another. The main issue that I think could push the decision to split through is the governing of the state. If the split passes where will the new state lines be drawn and who makes the decision? A split could effect politics, economy, funding, and more just based on where the new state lines are drawn. The issue is so complex, and is not one to be taken lightly. I personally am very interested to see what happens with it. Can you imagine though there being 51 U.S. States? It just seems a little weird after growing up in an era with 50. My brother lived in California, San Diego specifically, for 4 years while in the NAVY. I can imagine him saying, “I lived in California, well what is now South California but I lived there before the split and it was all California”. Maybe it will actually happen. It definitely will change the history of this nation if it does. I guess all we can do is wait and see what becomes of all of this. The only blog I have ever read was a fashion blog, so I was hesitant to read this blog. However, I must say I found the topics you cover very interesting. I believe I am fairly “worldly” and know much about current event, however, I have never heard of splitting California up into 6 states. The argument presented of why California should be split makes perfect sense. I have never been to California, so I can not speak from experience, but it does seem that there would be many remote areas and the urban areas are very dense. However, I also understand why this would not be a popular idea because people have pride in their states. For example, if someone lobbied to break Georgia into two states I would be upset and would vote against it, even if it were for the greater good. I look forward to reading more post in the future! I have been to California on 3 different occasions. Two of which I drove from Georgia to there. Took an entire day to drive across Texas. I also had to drive from Long Beach to San Francisco, which in itself felt like I was driving to an entirely different state. I do agree with the other commenters that stated northern and southern Cali feel totally different. I do think that splitting the state up could help to govern the people better. 38 million people is a lot of citizens to serve and different parts of the state can be facing different types of problems. For example Long Beach has issues that don’t even surface in San Francisco. By breaking things down it could help target those issues. It could However, I do not think that making Cali into 6 states is the answer. Maybe just two will do, even though the population will defiantly continue to grow. However, I don’t really think it would be broken down into different states. 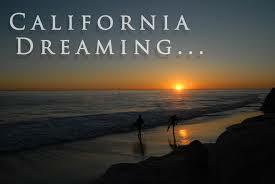 I am one of many who want to live in Cali. It’s really a lot to do and not enough time even when your there for two weeks at a time. Guess that shows how big the state is also. I think it would be a great idea. It is just such a large population with so much to keep up, it seems to have become a federal problem. When I first heard about this several months ago, I was shocked that it was a legitimate discussion for 6 states, but from what I understand the number of signatures needed would not be hard to obtain, and it would be a good debate on the ballot. I really like the idea because 3 of the 6 states would be Republican and 1 state would be a swing state most likely. Excellent point! Yes, let’s not forget the very real political impact! I must be stuck in my ways because the thought of splitting California into six states seems unconceivable to me. I have never been to California and despite knowing that land wise it is the third largest state per square mile, seeing that California’s population is as big as 20 states, plus the population of DC, is quite alarming. I’m not a proponent of creating six states (I don’t even like the thought of two); however, I think maybe creating more than one capital would be a better start. Using the method of division Jatvsu mentioned (NorCal and SoCal). Each area would have a capital and maybe that would help ease the load of governing and decrease the bureaucratic inefficiency. I agree with you! ive never been to The great state of California, and I cant imagine them creating six states because of its populations. I find that really redundant! That’s a very big step and yes they may obtain the votes to split the state into six, but what about what the locals think of this idea? I think this whole idea is for political gain and it should not happen. Yes, creating another capital may actually help Car- ra B! As someone who grew up in California, this blog was interesting and there is a lot of truth to the points presented early (as much as it hurts to admit). California’s massive size does make it highly difficult for the state government to make noticeable changes throughout the state. That can be attributed to the state size, but it could also be the result of selfish ambitions of the California policy makers. There appear to be so many agendas from the different California government officials that they often conflict and prevent progress. In the American society, creating is much more embraced than collaborating. Being from California, I am aware that there is an unofficial divide between Northern California and Southern California in how people perceive the areas (e.g., Los Angeles vs. Oakland), and maybe we should look into creating a Northern and Southern California officially. However, I believe that a separation into six states would be too much because it does not attack the issue of multiple political agendas. If the states were split into two, then I would suggest the northern capital remain in Sacramento while the southern capital would be Los Angeles. This debate is interesting indeed and I am very interested in the outcome, but my preference would be for California to remain one state (that may be my California bias speaking) and work on more creating more collaboration between the policy makers. This sort of discussion happens in New York a lot. Upstate NY legislators in the State Assembly/Senate bemoan the uber-focus on NYC interests (true or not) and bring up the fight for the “rest of NY” (read – “Upstate”) to secede from the NYC metro area to form two separate states. The few studies I have read decry the logic behind it, as NYC taxes/business enterprise buoys the rest of the sometimes-struggling state, not the other way around. This is a fascinating concept, but it is difficult to imagine that it will come to fruition. Is California really too large to govern or can a more effective and efficient leadership usher in the necessary change? If the people of California vote to split their state the federal government should support their decision. However, I would imagine this type restructuring has the potential to affect other states and the nation both politically and economically. This will be an interesting story to follow. Whenever I see proposals to create new states via partition or secession from existing states, my kneejerk reaction is that it’s coming from a group of people who are unhappy with their current state government’s direction or policies, and rather than working within the system to produce the change they want, they say “screw it” and vote to secede. We’ve seen that recently in places like northern Colorado, where the rural folk there wanted to break away from the pot-smokin’, gun-bannin’ leggies in Denver. While these groups may or may not have legitimate beefs, their small size and unconventional approach to problem solving means that they’ll likely never get the political leverage needed to realize their dreams. California, though, might be different. (Disclaimer: I’ve never been there.) The issues with California’s governance above may indeed present a strong case for partition. The other side of the argument is that, as a single political entity, California has created an economy stronger than a majority of countries and driven technology that has changed the world. For all its governance problems, perhaps its size and diversity are strengths that shouldn’t be dismantled lightly. Americans have long walked a careful balance between the rights of people for self-determination and the power of central authority and economies of scale, both at home and in our dealings with other countries. An aggressive “Balkanization” of California might serve the interests of the individual new states, but not yield much advantage for the country as a whole. I would say, proceed with caution. Moreover, national political forces would likely prevent CA partition from happening anyway. While Republicans might be happy to get a couple senators from the redder new states, it’s likely that more safe Democratic senators would appear out of a split California. On the other hand, Democrats wouldn’t want to take the chance of ceding some of CA’s massive EV count to the Republican presidential candidate. With winds blowing against it from both sides, I can’t see partition ever being approved by Congress. Therefore, I would argue it’d be better for activist California billionaires to spend their time and money working to improve the current system, rather than working to replace it with something that won’t happen anytime in the near future. Being from California I can honestly say that I really feel that state is kinda already broken up of about two states, being Northern California and Southern California. The reason being is that things happen totally differently in both areas and the culture and lifestyle of the people living in both areas are totally different. I honestly do not think that breaking the state up into six different states will help with any of the debit that state is facing as a whole. This will do nothing but cause confusion and really is a waist of time. The only thing I may see a good in is possibly breaking it up into two states but that is the MAX!! While there pulling all this focus on breaking up the state, he needs to be focusing on was to get the state out of debit and making it a better place to live. I understand that people would like the state to be split into different states. I cannot understand 6 states. I can understand 2 states. However, the splitting of the revenue is going to be an interesting task. Where exactly will the one state split into two? Let’s face it. There are parts of the state where people live that have more money than others. How will this be dealt with? Also, the problem with illegal immigration. Is this also a cause of the crippling state of California? There are many people that are born to illegal immigrates but the child are receiving the benefits of being an American citizens. Is this right? In turn, the family who is illegal are also receiving this benefits in a triggering down effect. This issue also need to be looked at. I saw a press release from yesterday that said the “Six Californias” initiative submitted enough signatures to get this on the ballot in November 2016. It will be interesting to see what happens with it. I am quite fascinated in this current event. To say the least, the final verdict will be very interesting. The fact that this initiative has garnered enough signatures to be placed on the public ballot is quite telling and displays that governing the state of California may in fact be problematic. Socially if it aids the citizenry of California, then I am all for it. The results of this complex issue will be one that I definitely pay close attention to; I may need to even buy a new map! There are several reasons why breaking California into several states makes sense. 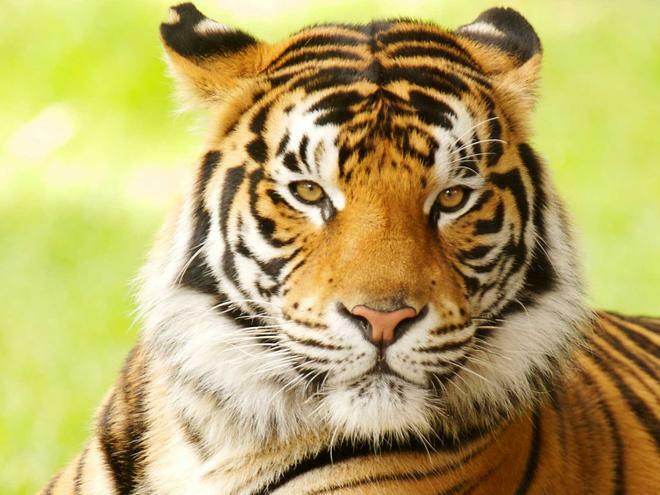 There are also several reasons why that could be politically and economically dangerous. For example, splitting financial debt is a challenge when it was not entered into in six even parts of the state. Who would be fiscally responsible for pulling out the high poverty states from debt when the residents have limited income to tax? Who would represent these smaller states in Congress and what kind of voice would they have or power could they wield? Another major issue with implementation would be determining what kind of governmental oversight would be needed. I live in Florida and can understand the frustration of feeling as though your area’s needs aren’t being met when fighting for resources from other, very different counties. The upper counties are extremely rural with transportation and poverty woes, while the middle counties are booming with tourism dollars, and the southern counties are overcrowded. That being said, having a different governor for different issues would spread resources even thinner. I can’t imagine smaller areas getting the kind of federal dollars needed to sustain themselves without them being part of a larger state. I have visited many parts of California over the years and it is a monster of a governance issue, but splitting it up into six pieces could just create six smaller monsters and an even greater federal nightmare.